Dragsons, the true children of Krynn., are power incarnate, and they know it. They come in all guises and forms. Their personalities are as varied as thier colors. Their magical abilities are virtually unlimited. And nothing is so terrifying as dragons on the wing. 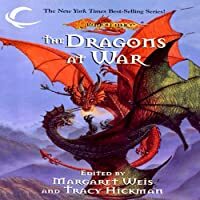 In this collection, a follow-up to the popular The Dragonss of Krynn anthology, Dragonlance creators, Margaret Weis and Tracy Hickman serve up a fantastical array of dragon tales featuring the motley races of Krynn and the deadliest creatres of the Dragonlance saga.